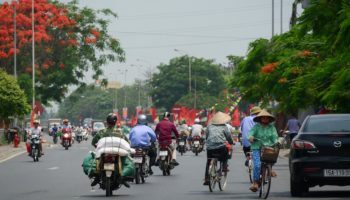 Just a few decades ago, Vietnam was a Third World war-torn country. Today, it’s one of the world’s hottest travel destinations. 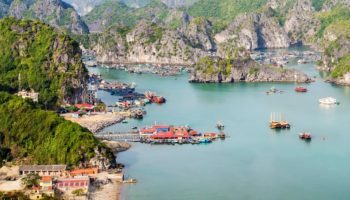 Whether you want to relax in spa luxury or hike through the mountains to minority villages and rice paddies, you’ll find unique and amazing hotels in Vietnam where you can indulge yourself. And isn’t that what a holiday’s all about? 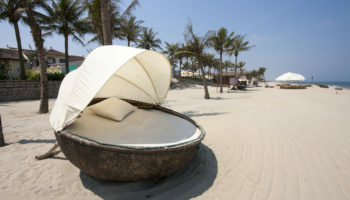 The InterContinental Danang Sun Peninsula Resort isn’t just your everyday garden variety five-star hotel. It was named the world’s leading luxury resort in 2014 and 2015 by a consortium of travel professionals and high-end tourism companies. All this luxury that attracts world leaders sits on a hillside overlooking a private bay. Days here are jam packed with activities from classes in cooking and making conical hats to trekking, playing on a private beach and observing monkeys at play. The Whale Island Resort is the only development on a sheltered tropical island, two hours north of Nha Trang. Watching the marine life while scuba diving or snorkeling in the crystal-clear waters of the bay at Whale Island Resort is permitted; fishing is forbidden. The island is small enough that you can walk around it observing nature in just a few hours. 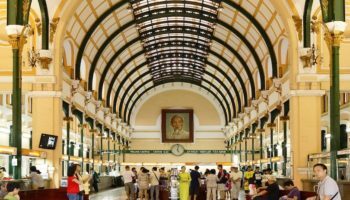 Guests say it’s the perfect place to get away from the hustle and bustle of Vietnam’s big cities. Resort guests can stay in traditional bamboo or modern bungalows; Both have thatched roofs and shower-only bathrooms. FYI: If you’re traveling on business, World Travel Awards has named the InterContinental Hanoi Westlake the leading business hotel in Vietnam for two years running. The hotel, on Hanoi’s largest lake also wins kudos from leisure travelers. Luxurious rooms with private balconies overlook the lake, with bridges connecting the buildings. 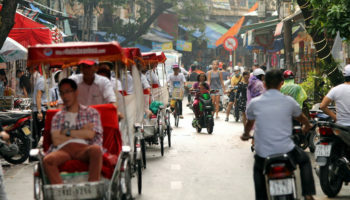 The historic Old Quarter and the 800-year-old Golden Lotus Pagoda are just a few minutes away. Dining options include French, Italian and Vietnamese cuisines, with seating that takes advantage of the water views. Vedana Lagoon, located between the historic towns of Hue and Hoi An, sits on the shores of Tam Giang Lagoon, one of the largest lagoons in southeast Asia. It was the first over-water villa in Vietnam. Known as a wellness resort and spa, the Vedana Lagoon combines the concept of modern art with high-end luxury to give you a feeling of peace and serenity. The hotel offers 29 villas, each with a private sundeck and a water or garden view. Mai Chau Lodge is the place to stay if you want to learn more about Vietnam’s tribal culture. Located less than 90 miles from Hanoi, the Mai Chau region is home to several hill tribes. The hotel offers several tour packages, all of which involve learning more about the hill tribes in some way, such as farming or nature. The rooms are traditionally furnished, including modern amenities, with views of the mountains or the valley. Am Lam Saigon River Private Residences is small – it has only 15 rooms – but it teems with luxury and serenity. 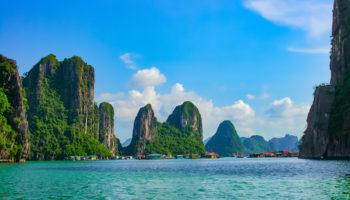 Named one of the top hotels in the world by Conde Nast Traveler in 2013, it’s reachable via a 20-minute speed boat ride from the center of Ho Chi Minh City. The hotel’s architectural style is classic southern Vietnam, elegantly displayed with lush vegetation. Pampering of guests is key here, with each having their own around-the-clock butler to look after them. Rustic yet elegant simplicity is in fashion at Mango Bay Resort, Phu Quoc. This remote island resort is eco-friendly and nature oriented, with solar-powered showers; it is a supporter of Wildlife at Risk. When they’re not visiting nearby historic attractions, guests have use of a half-mile long private beach. Accommodations have private terraces with views overlooking either the ocean or a garden. Visitors say the terrace restaurant is a great place to relax and watch the sun set over the ocean. Serenely beautiful is an apt description of Topas Eco Lodge. It sits on a hilltop in Hoang Lien National Park. Your adventure starts with the ride from Sapa, a little over 15 (10 miles) away. The trip takes about 45 minutes because the roads aren’t that great. The bouncing journey is worth it, however, once you stand on the balcony of your one-bedroom bungalow with mountains as far as you can see. 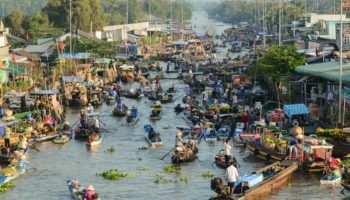 Activities include hiking, mountain biking, relaxing and visiting rice paddies and minority villages. The Hang Nga Guesthouse in Da Lat has been described as surreal, quirky and innovative, undoubtedly living up to its nickname of “Crazy House.” The architecture of this guesthouse seemingly resembles an amusement park more than a place for a peaceful night’s sleep. It also has been described a something out of a creepy fairy tale: Walt Disney meets Salvador Dali. But you don’t have to stay there to look it over as the facility offers tours. The Sofitel Legend Metropole in Hanoi is one of the most famous hotels in Southeast Asia. Located in the city’s historic French Quarter, the white colonial building with green shutters offers 364 luxury rooms. Located near the Opera House, the hotel was constructed in 1901, undergoing major renovations in the 1990s. A popular meeting spot in colonial days, the Sofitel Legend Metropole Hanoi counts celebrities and heads of state as its guests. Room décor ranges from classic colonial to contemporary, all designed to make guests feel at home. If it’s seclusion you’re seeking, a stay at the Six Senses Ninh Van Bay is for you. It’s a 20-minute boat ride to this bayside resort on the East Vietnam Sea. Villas and suites have water or mountain views, wine cellars and private pools. Some villas are a short walk from the main lodge, adding to the seclusion. You’ll find white sand beaches and water sports at this amazing hotel, as well as yoga sessions, or a boat down the Cat River and a mud bath in a hot springs.